Cape Cod Photographers Specializing in Wedding Photography, Portraits, Fashion, and Fun! Helen & Frank Coombs of You Ought to be in Pictures are a husband and wife team specializing in Cape Cod wedding photography & cinematography. If you are looking for beautiful wedding photography that offers fantastic value, style and variety, then you have come to the right place! 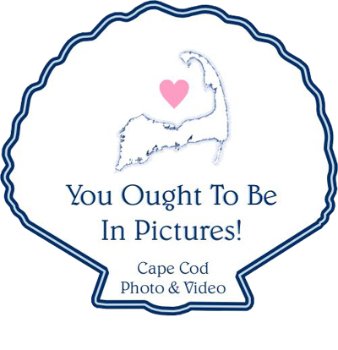 You Ought to be in Pictures is your one-stop-shop for your Cape Cod photography and cinematography wedding needs and with the combined experience of over 1500 weddings we know exactly how to capture all the beautiful moments of your wedding day. For over 30 years we have been with hundreds of happy couples from their engagement session to their first family photos. We are honored to be part of so many wonderful adventures, and we hope to be part of yours too! In addition to wedding photography we also offer great wedding cinematography, making us one of the only full time studios to offer both of these services on Cape Cod. Recent Cape Cod Weddings and Events Photographed by Helen & Frank! BLOGDIGGITY!! Password Protected for our clients, family and friends to view. Bridal Preps, First Looks, Walking Down the Aisle, “I Do,” Toasting, Kissing, & Celebrating! Scenic locations & dazzling sunsets, Cape Cod is a perfect destination for your engagement session! Our style of this trendy session creates the 2'nd most fun day you will have in your wedding dress! Fun and Fashionable Portraiture That Teens and Parents Will Love! Recent Wedding and Fun Events!